Baked Thyme Rubbed Pork Chops – i am uniquely and wonderfully made. Preheat oven at 350F. Place chops in baking dish and drizzle oil over them. Rub both sides of the pork chops with spices. Bake for 30-45 mins. 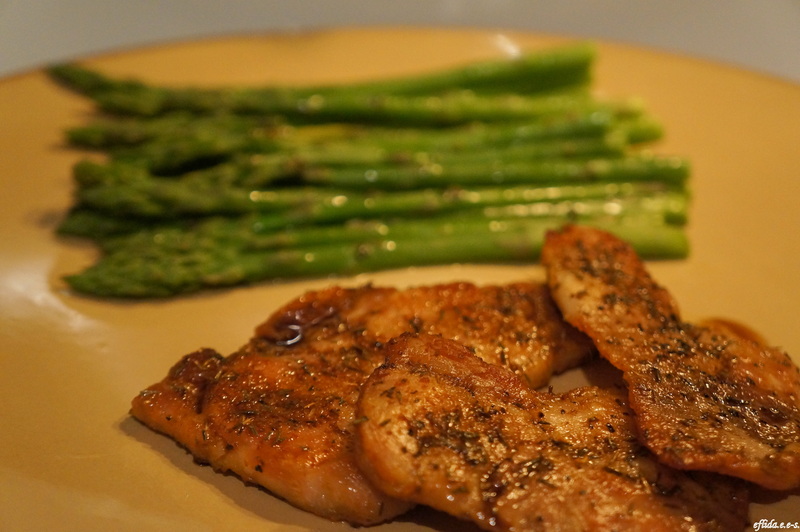 When cooked, drizzle pork chops with balsamic vinegar. Serve. I am making this for dinner tonight, and I thank you for the recipe. To be served with black eyed peas, pickled red cabbage, and pearsauce.